Orbital Sciences Corporation today announced in June 2010 that it has signed a contract with International Relations and Accounting Center of The Ministry of Communications and Information Technologies (Ministry) of the Republic of Azerbaijan to design, build and deliver the Azerspace/Africasat-1a commercial communications satellite. The satellite will be based on Orbital’s flight-proven Star-2 platform and will generate approximately five kilowatts of payload power for 36 active transponders. The Azerspace/Africasat-1a satellite carries hybrid Ku and C-band payloads to provide services to Azerbaijan, Central Asia, Europe and Africa. Orbital will be responsible for providing the satellite and ground system. Following its launch and deployment, the spacecraft will be located in geosynchronous orbit (GEO) at 46 degrees East longitude through an arrangement between the Ministry and MEASAT of Malaysia, which owns the rights to the orbital slot. Upon completion of in-orbit testing, operational control of the satellite will be handed over to the Ministry, which will continue to operate the spacecraft from its control center in Baku. 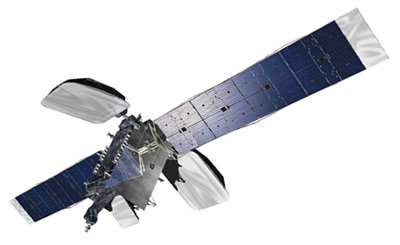 This latest order for one of Orbital’s GEO communications satellites is the 31st STAR-class spacecraft to be ordered by customers throughout the world. Azercosmos, MEASAT Satellite Systems Sdn. Bhd.